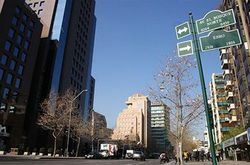 Property Location Located in Santiago (Las Condes), Rent a Home El Bosque Norte is minutes from Costanera Center and Peru Plaza. 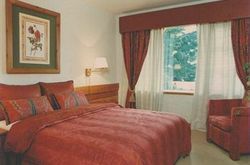 This aparthotel is within close proximity of Los Leones Golf Club and Sculpture Park. 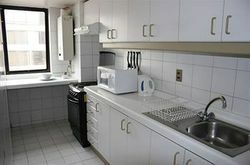 Rooms Make yourself at home in one of the 63 air-conditioned rooms featuring kitchens with refrigerators and microwaves. Your room comes with a memory foam bed. Rooms have private balconies. Complimentary wired and wireless Internet access keeps you connected, and cable programming provides entertainment. Rec, Spa, Premium Amenities Enjoy the recreation opportunities such as a fitness center or make use of other amenities including concierge services. Guests can catch a ride to nearby destinations on the area shuttle (surcharge). 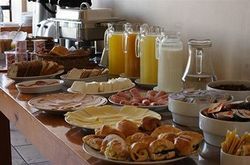 Dining Meet other guests and eat at a complimentary reception. A complimentary continental breakfast is included. Business, Other Amenities Featured amenities include a business center, a 24-hour front desk, and luggage storage. A roundtrip airport shuttle is provided for a surcharge at scheduled times, and free self parking is available onsite. 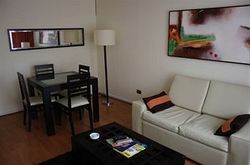 If you are looking for accommodation in Santiago De Chile, we can recommend you to check Rent A Home El Bosque Norte. We stayed there and had a very pleasant time.